Pinecone Research is a market research and opinion website where users get to take surveys or test products and earn cash rewards. Pinecone Research, owned by The Nielsen Company, was started on the 10th of January 1998 and is currently managed by Mr. William Miller. The 19 year old business is headquartered in Cincinnati, Ohio. Once you become a member of Pinecone Research you will receive survey invites in your mail as availability dictates. 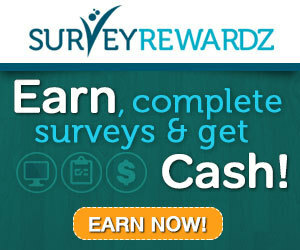 You can then complete the surveys to get rewarded. Sometimes you will receive actual products delivered to you to try and give your opinion about them. How Do I Join Pinecone Research? Pinecone Research is an invite only survey panel. Although anyone above the age 18 is free to join, you can only become a member if an existing panelist/member sends you a referral link. 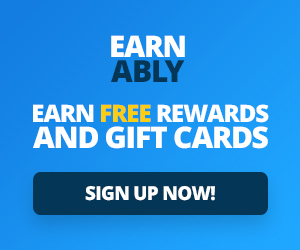 Another way to join is if you happen to be lucky enough to come across a banner ad with a referral link. Either way, once you join you will answer a series of questions designed to determine whether you qualify for membership at that time. If you get accepted, you become a panelist where you will start earning through taking surveys and testing products. Why is this survey panel different from others? Well, this is the question you want to ask, right?! Pinecone Research is different from other survey panels because its per survey pay starts around $3 and that’s the start. Not many surveys can boast of such stable payout. Not only that, but you also get to go to a higher pay depending on how long you have been an active member. How much can you earn with it? With Pinecone, you can rake up to $45 to $50 a month, considering you get at least 15 surveys a month with $3 payout. How Do I Find Pinecone Research Sign Up or Join Link? As we mentioned this survey panel is exclusive. So you may want to do a Google search which may lead you to a sign up or join link. However, you should watch out for scams that you need to pay to join Pinecone Research. Remember, you don’t have to pay anything to become a member. Unlike a lot of survey sites that make you jump through pre-qualification questions, you don’t need to do that with Pinecone Research. If you’re being contacted it’s because you already fit what they need so your survey is pretty much guaranteed. Joining might be by invite only, but it’s totally free to join and participate. If you find yourself having to pay to become a member, you are being scammed. Quit whatever you are doing and search elsewhere for a way to join. Pinecone Research is not as stingy as most survey websites. In my experience, you can search online for surveys that pay you $3 or more until the cows come home. Very few websites will pay you a dollar or more per survey. The surveys are short and fun to fill out. Panelists actually get to test products like before they hit the market.